For a number of years Stotts have been entrusted by well-known and reputable Australian businesses to look after their CCTV needs. 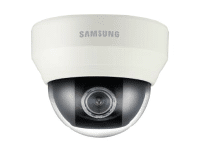 We provide a range of Samsung TechWin (Wisenet) quality CCTV products to create a solution that is individualised to the needs of our clients. This can range from full bodied cameras, internal dome, fisheye cameras, vandal dome, infrared and more. Technology is constantly changing and we pride ourselves on providing the most up-to-date solution. Please get in touch to discuss your needs in detail.